A nod to the legacy of Roar speakers, the advent of the award-winning Creative iRoar Go is a testament to our engineers' relentless pursuit for innovation. Breaking boundaries and pushing limits, the iRoar Go extols the virtues of Roar DNA, along with the same 5-driver design and bi-amp system - all tightly packed into the smallest acoustic chamber yet, without marring the critically acclaimed sound signature. 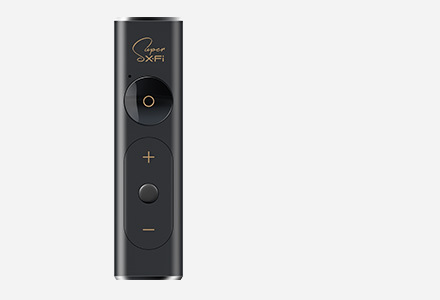 Your audio experience comes alive with depth and immersion that makes you appreciate the aural wonders of SuperWide technology. It delivers a sound stage so wide that you won't believe it's coming from this little speaker. Just like its bigger counterparts, the iRoar Go has wireless capabilities, and it multi-tasks as a built-in MP3/FLAC player, voice recorder, Bluetooth speakerphone, an external USB Sound Blaster sound card and a battery bank. Don't let its size fool you, for the iRoar Go is a fearless speaker that's not afraid of water. 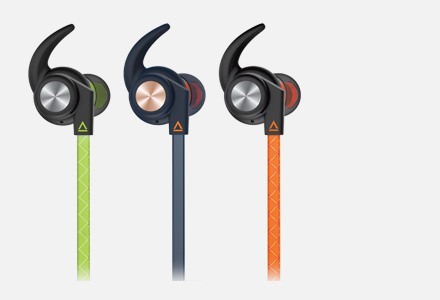 It is water-resistant with an IPX6 rating so no splashes can spoil your fun. Plus, there's an app that lets you customize the audio, the way you like it. We designed the iRoar Go to be a good Bluetooth speaker that delivers great audio performance. But through innovative technology and a keen eye for design, the iRoar Go simply delivers more. 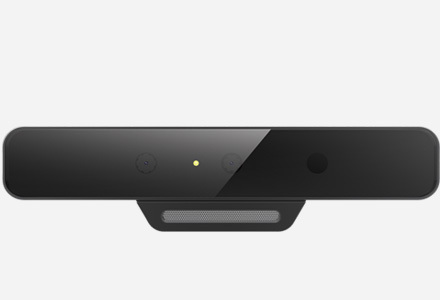 The iRoar Go delivers more with its built-in SuperWide Technology. experience from a small device. The result: a small speaker that sounds like a full-blown stereo system. The iRoar Go boasts an impressive 5-driver system, and this includes dual unobstructed passive radiators. The machine-finished, brushed aluminum drivers pulsate mesmerizingly, so you can actually see powerful bass in action. The iRoar Go is designed for users on the move. Its housing is completely splash-proof, allowing users to bring the speaker out to the pool or the beach. 25% lighter and 40% smaller than the Creative iRoar, the iRoar Go is the world's smallest and lightest 5-driver Bluetooth speaker with built-in subwoofer, striking the best balance between portability and great audio. From the two far-field tweeters, a powerful subwoofer and two unobstructed passive radiators, which are beautifully machine-finished, every element of the design is thoughtfully considered to enhance your audio experience. The built-in enhanced active 2.5″ Neodymium driver pumps out impressive mids and lows. Directing the audio upwards also stabilizes the speaker and provides for a wider sound stage that does not require the listener to be situated in the audio sweet spot. Durable and lightweight high-frequency drivers deliver balanced highs. These dual 1.5″ premium drivers are also designed to provide far-field high-frequency dispersion. The passive radiators offer more bass enhancement and widening the soundstage. The iRoar Go features dual unobstructed passive radiators that deliver unparalleled bass reproduction for a speaker of its size. It not only sounds good, its glossy finish also adds a touch of iridescence to the look. The passive radiators pulsate mesmerizingly − users can now not only hear the bass, but they can actually feel and see the powerful bass in action. Plus, the dual brushed aluminum rings on the sides add that touch of class. Most portable speakers utilize a single amplifier to reproduce the entire audio spectrum. With a single amplifier design, much demand goes into reproducing the lows and mids, which compromises the delivery of the highs. On the other hand, the iRoar Go utilizes two amplifiers - one dedicated to driving lows and mids, and another is solely dedicated to deliver the high frequencies. This allows the speaker to produce uncompromisingly clear, high definition, and well-balanced music. The top-firing bass and mid-level driver is also laid horizontally, reducing the speaker's center of gravity, thus stabilizing it. The iRoar Go offers dual orientation, with your convenience in mind. Whether it's horizontally or vertically placed, the iRoar Go adapts to your acoustic preferences. A horizontal placement lets you experience room-filling and balanced audio. Alternatively, a vertical placement has a smaller footprint but it produces louder and more directed audio and brings the controls on the back panel closer to your reach. The iRoar Go is our first speaker, incorporating the SuperWide technology that delivers a startlingly wide audio experience from a small device. This ground-breaking technology stretches audio beyond the limits of conventional acoustic design laws, as it requires a huge amount of acoustic power that's not possible for a speaker of this size. Our engineers have thoughtfully tuned the speaker as a holistic audio system where the algorithm must work intricately with the amplifiers and its architecture to deliver this magic behind its audio prowess. Experience the performance of the SuperWide Technology and enjoy it in four different placement scenarios. 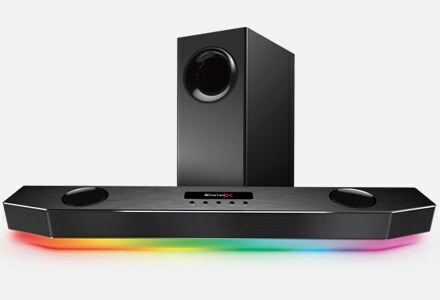 Place the speaker vertically on a table to experience a startlingly wide sound stage and stereo image beyond one's imagination. Placing the speaker vertically up against the wall at ear level harnesses the resonant properties of the wall surface behind the speaker where the whole wall, along with the speaker, projects an even wider stereo image that can be experienced anywhere throughout the room. Placing the speaker horizontally on the table, it boasts a wide stereo image with a distinct positional audio. So you can sit back, relax and pick up the instruments' magical appearances in the track playing at different parts of the sound stage around you. Take your enjoyment up a notch by placing the speaker horizontally close to the ceiling. Experience an ambient dispersion of audio as though it comes from several speakers all around the room, instead of a single speaker source. Great for parties or where a larger audience needs to be addressed, the ROAR feature boosts the overall loudness and utilizes the speaker's built-in Digital Signal Processor (DSP) to intelligently widen audio output for a bigger and wider sound stage! Updated for the iRoar Go, ROAR mode now incorporates TeraBass processing and intelligently compensates for the human ear's loss of perceived bass and treble details during low playback level as well - dramatically improving the fullness and clarity of your music even at whisper low volumes. The Equalizer mode allows you to customize the sound of iRoar Go to your listening preferences. This mode also provides a variety of expertly tuned presets for you to choose from. 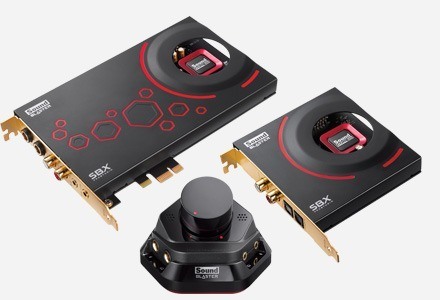 Download the Sound Blaster Connect app1 to explore the endless possibilities of the Equalizer mode. The iRoar Go is recognized for its well-thought design that earns itself the Red Dot Award 2016. The speaker has upped the ante by packing all that engineering goodness for great, balanced sound, in a form so small that's unprecedented by others. With a simple user interface, durable material selection, and an IPX6 rating, the speaker certainly has set a benchmark for many to follow. The iRoar Go is designed with an IPX6 rating, which makes the speaker water-resistant. So go ahead and take your music to the pool, or the beach and roll with the good times! Consider the iRoar Go as the jukebox of your dreams. Let the wireless convenience of Bluetooth connectivity inspire your friends to take the stage and inject life into your party. While your smartphone is tethered via Bluetooth, the iRoar Go acts as a wireless speakerphone that lets you take your calls when you're listening to your music. Who says you cannot mix business with pleasure? All it takes is one tap on the iRoar Go, and you're on the way to a playlist of endless hits that gets you grooving. Connect the iRoar Go to a PC or Mac via micro USB, and it will function as a host audio and microphone device like an external Sound Blaster sound card. 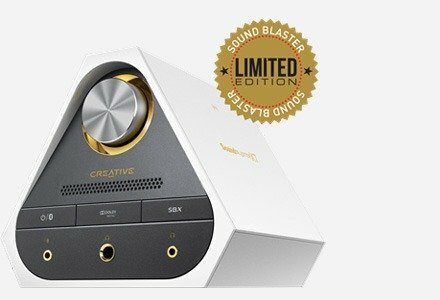 For the PC and Mac users, download the Sound Blaster Connect software to enjoy the benefits of intelligent enhancements for your PC or Mac2 audio in real time. For the gamers, you can rejoice now that you can connect the iRoar Go to your PlayStation®4 console via the micro USB cable directly to enjoy all that action with punchy bass and audio clarity. Now, you can play your entire music collection3 directly from the iRoar Go. Simply insert a microSD card or USB thumb drive that contains your favorite songs and press the Play button to enjoy a fantastic listening experience. 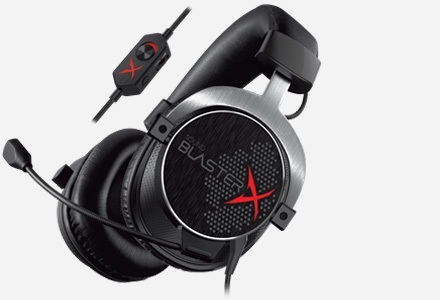 Alternatively, you could also refer to your favorite tracks from the Sound Blaster Connect. The iRoar Go comes with a built-in microphone that picks up your voice. So you can record your productive discussion with your business partner with a simple touch of a button. Alternatively, you can connect an external microphone via the Aux-in port. Also made for professionals, this powerful Bluetooth speaker doubles as a personal PA system that helps you deliver a compelling performance in your presentation, conference, and classes! The iRoar Go comes with a 3.5mm microphone adapter, which is intelligently detected when you insert it into the Aux-in port. Simply connect the iRoar Go to hand-held or head-worn microphones6 via the microphone adapter, and you are all ready to take the stage. The iRoar Go houses a built-in Li-ion battery that provides 12 hours5 of audio playback. If the battery runs out, simply charge the speaker to keep your party going all day long! The speaker also doubles as a battery bank to charge your smartphone with a 1.0A output. 1 Free downloadable app from Apple App Store or Google Play. Coming soon. App may not be available for download in some countries. 2 App available soon for Mac OS. 3 Supports MP3 up to 320kbps and FLAC up to 1.3Mbps. Compatible with microSD card (SD and SDHC) of class 4 and above, up to 32GB. Class 10 microSD card recommended for recording. USB thumb drive up to 128GB formatted in FAT16/ FAT32/ exFAT. 4 Available when your audio source comes from Bluetooth, USB and microSD card. 5 Actual battery life will vary with use, settings and environmental conditions. 6 Hand-held or head-worn microphones not included. microSD or microSDHC cards up to 32GB formatted in FAT/FAT32. Common audio formats such as MP3, FLAC and WAV. (MP3 up to 320kbps and FLAC up to 1.3Mbps). Class 10 microSD card recommended for recording.